25.3.2018 The noblest art is that of making others happy. 25.3.2018 The show must go on. Phillip Carlyle: I own 10% of the show. Knowing who I was working for... I had the good sense to take my cut weekly. 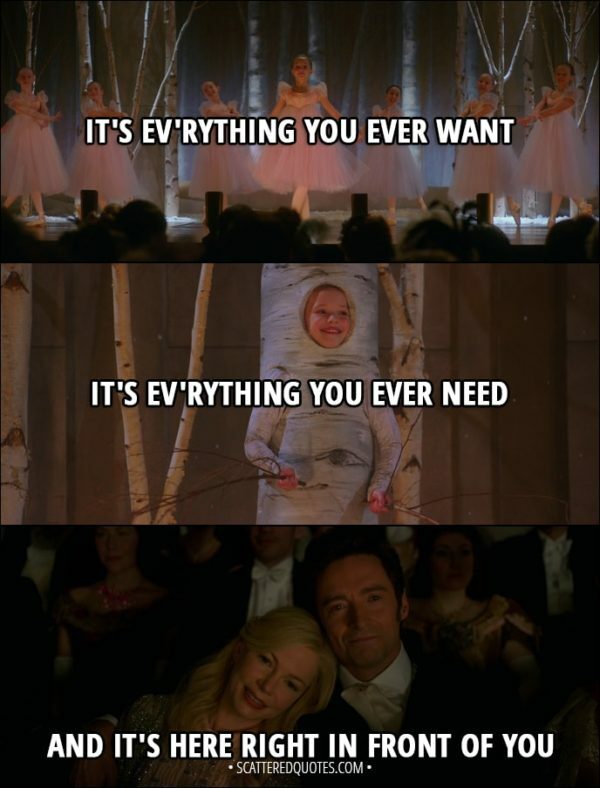 Anne Wheeler: Sure you can. Lettie Lutz: Don't turn sensible on us now. 25.3.2018 Don’t turn sensible on us now. 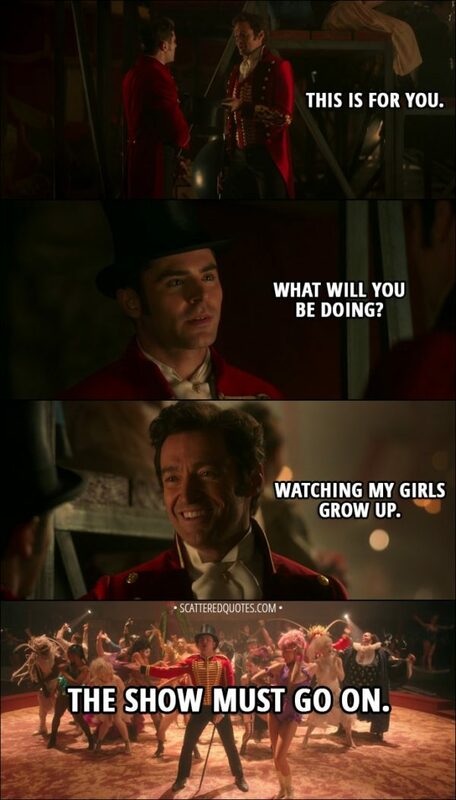 Phillip Carlyle: You know, Barnum... when I first met you... I had an inheritance, acclaim, an invitation to every party in town. And now, thanks to you, all that's gone. All that's left is friendship, love, and work that I adore. You brought joy into my life. Lettie Lutz: Into all our lives. 25.3.2018 You brought joy into my life. – Into all our lives. P. T. Barnum: I brought hardship on you and our family. You warned me... and I wouldn't listen. I just... I wanted to be more than I was. Charity Barnum: I never wanted anything but the man I fell in love with. 25.3.2018 I wanted to be more than I was. P. T. Barnum: Folks, if you've come to get paid, the money is gone. All of it. Nothing left to give you. 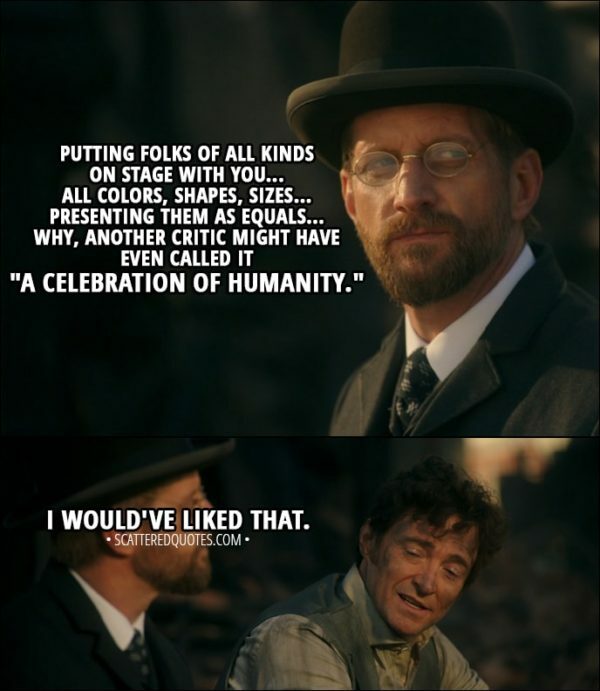 Lettie Lutz: Shut up, Barnum. You just don't get it. Our own mothers were ashamed of us. Hid us our whole lives. Then you pull us out of the shadows. And now you're giving up on us, too. Maybe you are a fraud. Maybe it was just about making a buck. But you gave us a real family. W. D. Wheeler: And the circus... that was our home. We want our home back. 25.3.2018 The circus that was our home. We want our home back. Jenny Lind: When you're careless with other people, Mr. Barnum... you bring ruin upon yourself. 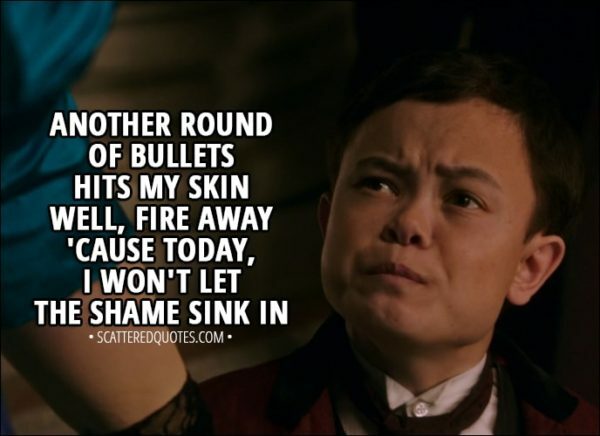 P. T. Barnum: I have risked everything. Jenny Lind: Well, so did I. And it seems we both lost. 25.3.2018 I have risked everything. – It seems we both lost. P. T. Barnum: You don't understand. How could you? My father was treated like dirt. I was treated like dirt, and my children will not be. Charity Barnum: You don't need everyone to love you, Phin. Just a few good people. 25.3.2018 You don’t need everyone to love you, Phin. 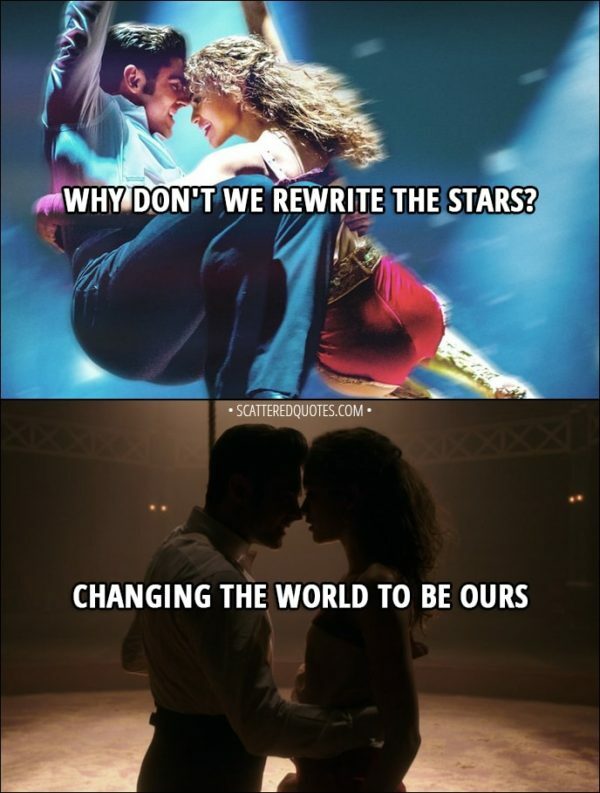 25.3.2018 Why don’t we rewrite the stars? Phillip's Father: Phillip, have you no shame? Associating yourself with that Barnum business is one thing... but parading around with the help? Phillip Carlyle: How dare you speak to her like that? Phillip's Mother: You forget your place, Phillip. Phillip Carlyle: My place? Mother, if this is my place, then I don't want any part of it. 25.3.2018 If this is my place, then I don’t want any part of it.